Law allowing prime minster and defense minister to declare war without rest of Cabinet rescinded. 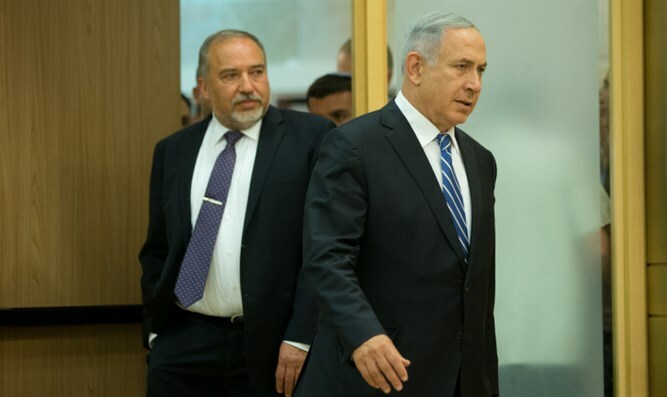 The Knesset rescinded an amendment to a law it passed earlier this year that gave the prime minister and defense minister the authority to declare war. The cancellation of the amendment to the law passed its second and third readings on Tuesday by a vote of 77-16. “It is appropriate that a decision of the Ministerial Committee regarding starting a war or taking significant military action that may at a high level of certainty lead to war be adopted by as wide a panel as possible,” the amendment says. Under the law as it stands, the Cabinet must approve a decision to go to war or to initiate an action that could lead to war. The original amendment giving the power to declare war to only the prime minister and the defense minister was widely criticized.